A collection of some of the many kind words written from our married couples! Our heart was set on Sorrento but we knew we could not plan this alone; that is when the wedding planner hunt began. 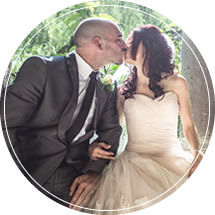 We short listed 4 wedding planners based in Sorrento and my husband and I decided we would chose the one that made us feel the most at ease. Cheryl was a cut above the rest and we did not look back after making out decision. What an amazing planner who has a burning passion for her job! Cheryl was always on hand to answer any questions and believe me we had lots because I am very indecisive but this was never a problem; her reply was prompt, she was friendly and efficient and her service was personal, she really listened to everything we wanted. Everything about our wedding was absolutely perfect and stress free from beginning to end. Cheryl went above and beyond coordinating the whole day from start to finish! It is a big decision putting the planning of your wedding day into somebody else hands but we would not have had it any other way; when we look back we have no regrets and would not change a thing. My family and friends spoke very highly of Cheryl and were all amazed with her service; everyone needs a Cheryl to plan their dream day! We will always be grateful for the memories you have helped us create. We have no words to explain what a truly amazing person Cheryl is – she made our dreams a reality. Neither of us will ever forget what she has done for us and the memories created, not just for us but also for our guests. Everyone said what an absolute diamond we had found. Cheryl is a kind and friendly person who made us feel instantly at ease. Her advice is second to none. You can trust her in every way with your special day. A major attribute was her professionalism in her dealings with everybody she dealt with on our behalf and everything she did for us. We will be forever grateful. After meeting with several wedding planners Guy & I knew right from the start that both wanted to book with Cheryl. The main reason we both felt (and which turned out to be the most important of all) was Cheryl came with an individual, sincere & personal service. At no point did we we ever feel like a ‘client’ or ‘just another booking’. Cheryl made us feel as though we may have been one of the only couples booked with her . Both Guy and I were extremely busy right up until our wedding so didn’t have as much time to put into it as other couples may have – apart from telling Cheryl the colour schemes, our likes and dislikes, we had not a lot more input & left Cheryl to do the rest! It was obvious as soon as we arrived in Italy 2015 to meet with Cheryl & discuss just before the wedding, Cheryl had everything in hand!. When the Big day arrived, I don’t think I could have felt any more relaxed. Cheryl arrived, armed with prossecco came & took control of everything. We all knew exactly where to be and at what time. The whole thing went so smoothly! You offer an exceptional, personal service, we will always be so grateful for the day you gave us. From the bottom of our hearts thank you Cheryl. I first contacted Cheryl around 2 years before we got married. From the first email, I knew I had found my perfect wedding planner. I could message her at any time with any question and she would get straight back to me. She made me feel so comfortable and was so interested in my ideas. She understood exactly what I wanted and I felt so excited whenever we spoke about the day. We visited Sorrento a year before to visit venues and we met Cheryl face to face. I felt like I was visiting a friend and the venues she’d recommended were perfect. Our wedding day truly was the best day of my life. Every aspect of it was perfect and this was all down to Cheryl. She is hands down the best wedding planner you could ever wish for. I left Sorrento with a new husband and a fab new friend. Anyone thinking of getting married in Sorrento should contact Cheryl. You will not be disappointed!!! Cheryl was the best decision we made regarding our wedding. Cheryl made everything so easy for us and stress free. She was always available to answer questions and happy to help. We went over to Sorrento two times before the Wedding and met up with Cheryl on both occasions and instantly you can see how much she loves her job and this reflects on the quality and time she puts into her work making sure everything runs smoothly and is perfect for us. We can’t speak highly enough of Cheryl. If you want a Wedding in and around Sorrento, YOU NEED A CHERYL! From the first email I received, in an efficient, friendly and informative manner, I knew you would make our wedding day everything we wanted it to be. All I can say is, if anyone is looking to get married in Sorrento and wants a friendly yet professional wedding planner, they would be stupid not to have you!! Cheryl, where do I begin?? Our wedding day was a dream come true. The location, the weather, the venues, all were fantastic but the true reason behind it all was you. Your guidance and support on the run up to the wedding was invaluable, then when we met finally it was like meeting my third bridesmaid!! I can’t thank you enough for all the extra touches you made, you went above and beyond the call of duty, running round Sorrento on a last minute dash to get cuff links three hours before the ceremony and so much more I don’t have space to write! Every single person in our wedding party commented on how great you were. I know you love your job but I don’t think you appreciate how fantastic you actually are! I’m so jealous of all your forthcoming brides, they have a brilliant experience coming up! So thank you for everything Cheryl, you truly did make my wedding a dream journey!! Since the very first email to the last, the communication you provided was first class! We felt like we had always known you, with your friendly and kind approach. You always kept us updated, on what was going on, and what was needed to be done along every step of the way. 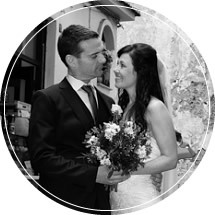 Your expertise in the yearlong planning, gave us 100% confidence that we had chosen not only the right wedding planner for our special day in Italy, but the most perfect one! From organizing and booking the ceremony, reception venue, flowers, hair, makeup – to the essential legal paperwork, schedule, menu choices, etc. you covered everything and more, ensuring that everything ran smoothly and was stress free for not only us but for everyone, we honestly could not have done it without you. We truly had the most incredible, wonderful, and perfect day, with so many of our family & friends commenting on what a brilliant planner we had, but more importantly what a lovely person you are! Taking the time to come and spend time with our wedding party during the week, meant the world to not only Ian and I, but to everyone who had the pleasure of meeting you. 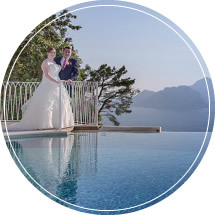 So it just leaves us to say, for anyone reading these words who are considering to marry in beautiful Sorrento, and for those lucky enough to have booked Bella Sposa services in the he near future, please be assured that you’re in the best of hands! 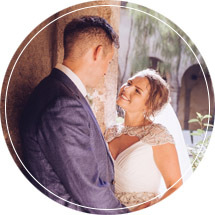 We had the opportunity to connect with Cheryl Pagano of Bella Sposa by chance when we decided to plan our destination wedding in Sorrento, Italy. Without Cheryl our wedding day and week in Sorrento would not have been what it was. 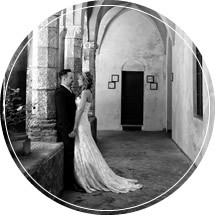 Cheryl is an expert at Italian Wedding Planning, and takes care of every small detail in planning a destination wedding. I was at such ease in the months, weeks and days leading up to the wedding as Cheryl had made sure that every detail was already planned before. From the decoration, photography to flowers and more Cheryl had every detailed taken care of and booked. Cheryl was able to take the pictures of ideas that I sent her and create our final vision for our day! In the days leading up to the wedding Cheryl’s service was outstanding! She was able to make changes on a moment’s notice and cater to anything I needed. Without Cheryl our wedding wouldn’t have been the dream come true that it was! We had a picture perfect wedding with a reception on a beautiful June day over looking the Amalfi coast! Cheryl suggested many additional touches that I would have never thought of that added to our perfect day! Throughout the day Cheryl was right by my side helping me with whatever I needed – she would have taken my nerves away if she could! Cheryl Pagano of Bella Sposa, is such a talented destination wedding planner and outstanding person! I will always have a special place in my heart for Cheryl and she has made a huge impact on such a fabulous milestone in my life! It’s difficult to know where to start when thanking Cheryl at Bella Sposa for organising our wedding. 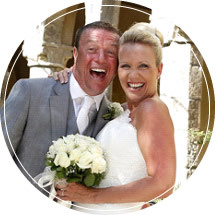 Arranging your perfect day in another country can be daunting and stressful at times but Cheryl was there to answer all the silly questions we had, big or small in a professional manner. After various emails back and forth I knew I had found the right company for the job! Cheryl listened and had great understanding of the kind of day we wanted and recommended various venues for us to choose from. 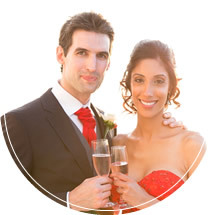 Without seeing the ceremony location and reception we had chosen I felt reassured by Cheryl that we had made the right decision as she always provided us with lots of detail and I trusted her recommendation completely. What I love about Cheryl is her very personal service and I felt she genially cared about each of her weddings. 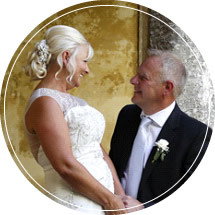 On arrival to Italy, Cheryl spent time with us before the big day by taking us to visit the ceremony and reception venues and even taking us to the florist to make sure we were 100% happy with everything. As my husband was very nervous about the day, Cheryl was great in putting his mind at ease! She was with us the whole wedding day and was great in making sure the day ran without a hitch. Cheryl even visited us the next day and a few days before we left to come home for goodbye drinks. 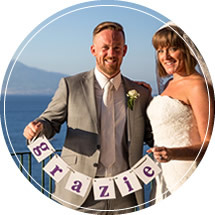 We chose Cheryl at Bella Sposa as our wedding planner in Sorrento because we felt she genuinely cared about what she was doing. For Cheryl it was not just a job, she went above and beyond the call of duty in every aspect of our wedding from start to finish and her support does not stop after the wedding. Nothing was too much trouble and I liked the way she got to know us as a couple, so that she could reflect that in the touches that we wanted for our big day. Cheryl is nothing other than professional and only recommends the best local services. Our florist, photographer, hairdresser, makeup artists, caterers and venues were clearly excellent at what they did and understood what we wanted thanks to her help. Our big day was everything we wanted and so much more because of the personal service she provided. We found Cheryl to be honest, helpful, friendly, hardworking and she always gave 150% (believe me we were a challenging bunch!). Thank you so much Cheryl and your team for being there to make our dreams come true. We have some wonderful memories. You have been our rock, support and guide since we met you and we genuinely cannot thank you enough for our beautiful day. I am so glad it was you who helped us to become man and wife. As soon as we arrived in Sorrento for the first time we knew this was where our dream wedding would take place. However, turning that dream into a reality was down to the hard work, professionalism and personal approach from our wedding planner. 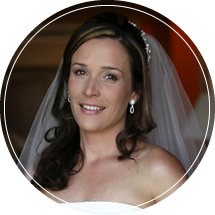 Cheryl was absolutely amazing, from the moment we met her by chance on a rainy day in Sorrento in March 2013, throughout the planning process, the big day itself and also beyond as we are still in touch. Before I met Cheryl I thought having a wedding planner was an extravagance, but I now know that it is essential, particularly if you are getting married abroad. 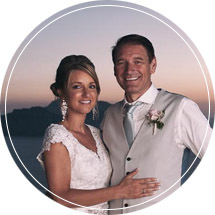 It doesn’t matter how organised you are or how much time you have to plan, Cheryl’s expertise in wedding planning, local knowledge and ability to speak fluent Italian gives you the reassurance and peace of mind that is needed when planning your wedding. Every email was answered promptly, we could talk on the phone, skyp or instant message on Facebook. My preferred communication was via email and even when Cheryl was busy she would let me know when she would be able to respond to my email. Cheryl gave us lots of choices of venues to see when I came back for my second visit with my mum, and what I liked about walking around the venues and around Sorrento was that you saw Cheryl was a valued member of the community as so many people would stop to say hello and chat with her. This was important to me as it indicated she was trustworthy and accepted as a local. When we arrived in Sorrento for our wedding yet again she was professional with a personal touch, and at every step of the way this was her approach. It made us feel comfortable, excited and happy and throughout the whole process we knew working with Cheryl was the right choice. The day itself was beautiful, the most amazing experience of our lives, the ceremony, the venues, the flowers, the hair, the photographer; everything was perfect, I had a wonderful time, as did my husband, as did my guests and Cheryl made this all happen for us. I would like to say thank you for everything you have done, you clearly go above and beyond, and this is why you are so talented. Cheryl – I just want to say how wonderful you are and how pleased I am that you were my wedding planner. You are professional, kind, organised, understanding and certainly know your business. I started planning our wedding a year before and I had a huge amount of email correspondence with you and you always responded with brilliant and unusual ideas to help me with the planning. As a mature bride with complicated requests you were always understanding and helped me with all the changes as we went along. What I loved most of all is I am very organised and bossy and you made me feel relaxed and ensured I enjoyed the day and not organise anything… Your presentation and eye for detail is admirable and you not only helped me but you put Nigel at ease while we were getting ready and waiting at the venue. I could go on and on with my praise – I cannot speak highly enough of you Cheryl as a wedding planner. 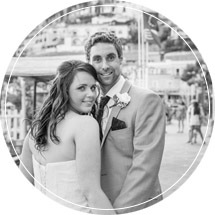 Thank you for making our wedding so special in beautiful Sorrento. mikeandrekha Mike & Rekha Suttie I literally cannot thank you enough for being so amazing! You have held my hand at every step and made us feel so comfortable. You honestly have a wonderful nature and I adore your passion, honesty and openness. It’s these qualities that make you so wonderful at what you do! Anyone that books Bella Sposa are privileged to have you planning their wedding! 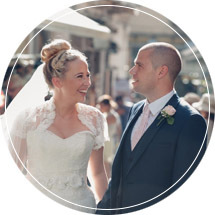 From that first initial email planning our wedding was so easy and Cheryl provided information on absolutely everything, from the paperwork we needed complete to where we could go for dinner while on holiday in Sorrento! Every email was answered immediately at pretty much any time of the day, and every question, worry or total Bridezilla moment I had was met with total professionalism, friendliness and a calmness that put my mind at ease every time. Cheryl really does provide an “above and beyond” service. Every detail of our wedding was as good, if not better, than we ever could have imagined. We also had the privilege of Cheryl translating our ceremony, which for me was just perfect as we had formed a bond by that point that just made everything even more personal. I felt like my friend was marrying us and not a stranger. The musicians, photographer & car we had picked were just amazing and all provided by Bella Sposa. Everything was beyond perfect, I felt like Cheryl had read my mind and then taken it a step further, I could never have imagined how amazing it would be. I felt so at ease from the moment we first spoke that I never really stressed about anything, which says so much considering our wedding was in another country and I had very little control until we got there. We are both so grateful to Cheryl for making our day so unbelievably perfect. 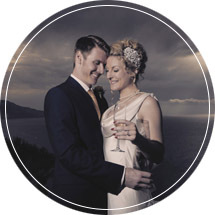 We would highly recommend Bella Sposa to anyone considering getting married in Sorrento. It truly was the best day of our lives and we’d do it all again in a heartbeat! Home in Austraila, I find myself looking at our wedding photos all the time, and I just can’t stop smiling, our wedding in Sorrento was absolutely perfect, even in the rain, and you made it all happen! We just want to thank you again for everything, you did an amazing job, helping us creating the wedding we wanted. All the small details you added, your creativity and understanding exactly we wanted was fantastic. You are such a lovely person and great to work with, I will recommend you to anyone getting married!